Need a recipe for a decadent cake? Try this quick cake pops recipe for a delicious baked treat today. Stork – love to bake. Prepare icing ang cake according to instructions. Allow cake to cool down completely. Mix 6 cups of cake crumbles with 1 cup of cream icing. Form into balls. Place balls into refrigerator to set and cool. Melt chocolate. 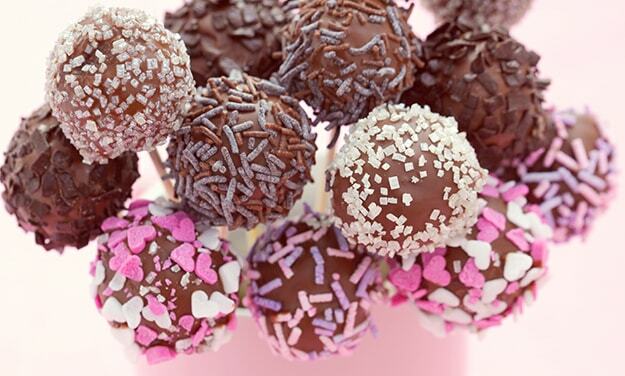 Place each ball onto a wooden skewer and dip into the chocolate to cover and decorate with sprinkles. Place decorated cake pops into Styrofoam block to set.